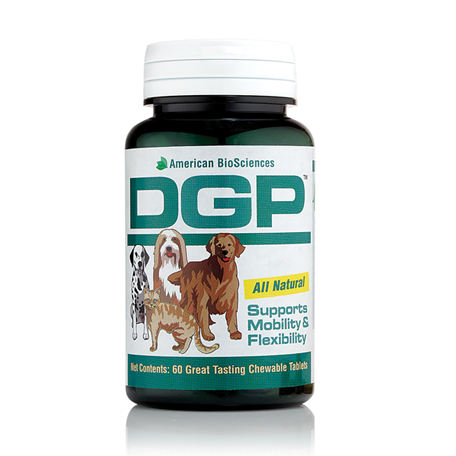 DGP®: Joint Support for Pets - F.B. Doesn’t it break your heart to see your pet slow down, struggle to get up, have trouble climbing stairs or jumping onto the bed? Don’t let them struggle anymore! Let DGP help your pet be the carefree and playful member of the family you know and love. Join the thousands of pet owners and veterinarians that wouldn’t think of letting their four legged family member go a day without DGP! DGP…your pet will thank you! AvéULTRA orders placed after 12:00 PM EST on Wednesdays will not ship until the following Monday to locales with average temperatures over 80° F in order to avoid the product from sitting in too hot temperatures over the weekend. Please call us for more information on this. 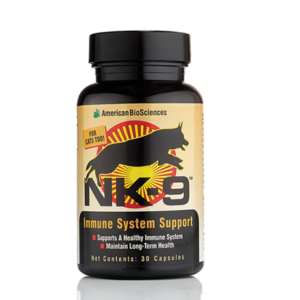 You will be thrilled with how well these supplements work. But in the unlikely event you wish to return your purchase, call our Customer Service department at 1-866-298-9944 within 90 days of purchase. You can return one opened bottle/box and any unopened bottles/boxes. We promise to rush you a full refund of the product cost, no questions asked. No delivery time can be guaranteed, but 3-10 business days can be reasonably expected. Click here for DGP research.